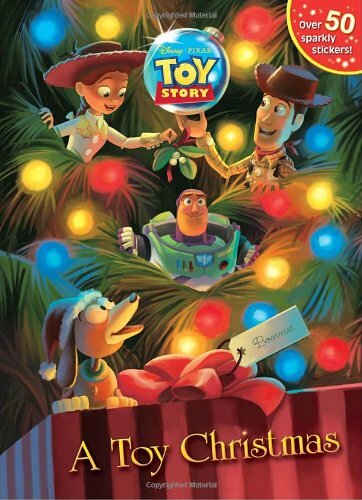 It's not Christmas without toys—especially Buzz Lightyear, Sheriff Woody, and all the characters from Disney/PixarToy Story! Join the toy friends as they celebrate the holidays in this Glitter Sticker Book featuring 64 festive images to color, 30 sparkly glitter stickers, and a glittery cover. At only $4.99, this book will make a great stocking stuffer for children ages 3 to 7.